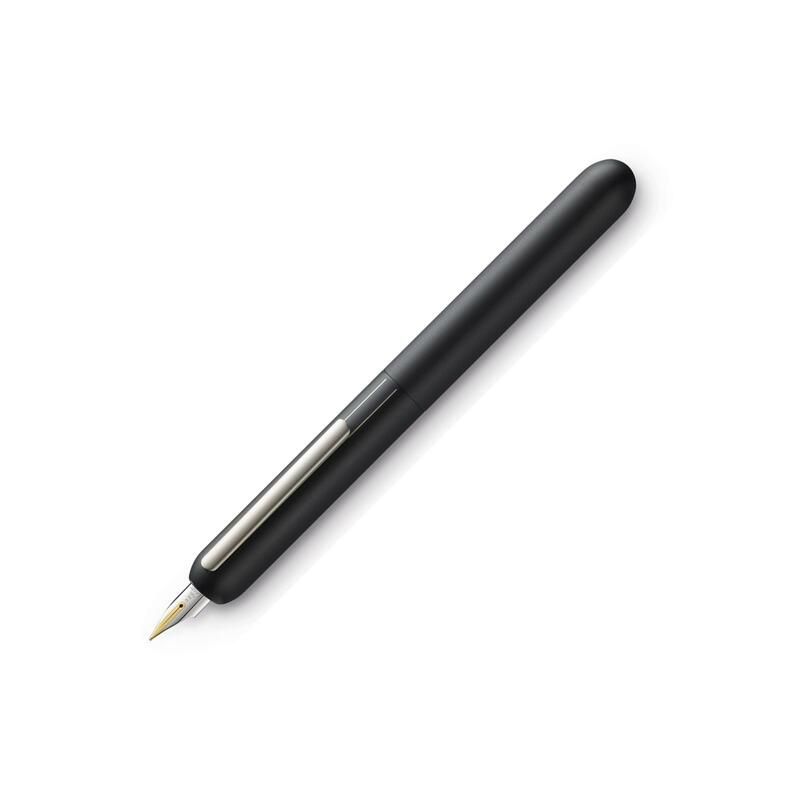 The Dialog 3's 14k gold nib can be a fully retracted via a twist action. Durable painted black finish body with subtle engraved Lamy logo. When the pen is opened, a unique mechanism retracts the pocket clip to "smooth" the body where you hold the pen. Closing the pen actuates a type of trap door to cover and protect the nib and prevent drying. Some nib options subject to one week lead time so please check before ordering if you are in a hurry.